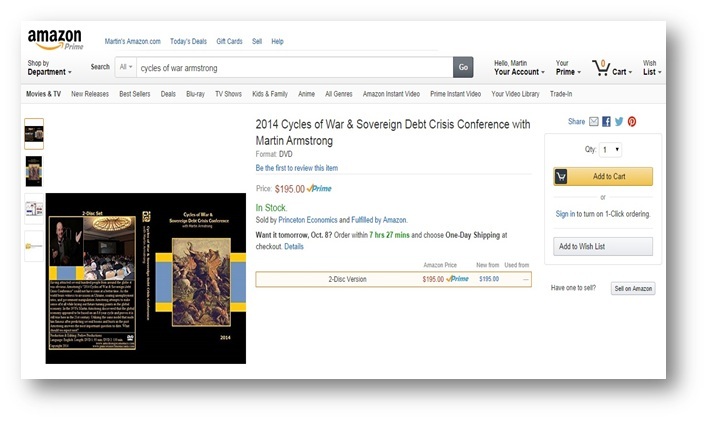 The Cycles of War Conference is now Available in DVD sold by Amazon. Just search “Cycles of War Armstrong” and you will be able to find the page. Amazon will collect the money and do the shipping. This is a partnership we have entered and they will handle this DVD and deliver it worldwide.